The air-tight and resealable zipper bags everyone is familiar with. All coffee shops sell their products in these kind of ziplock bags. 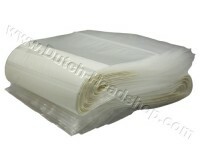 We sell the plastic bags in different colors, with and without marijuana leaf. 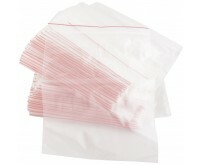 You are in need of zip-lock bags to store marijuana, hash or other herbs? You are at the right place at the Dutch-Headshop. There is ample choice in zipper bags of all sizes and shapes. 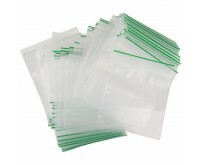 Although zipper bags are simple marijuana bags and often have many things in common, they are different. Especially the size of the bags differs per product. The size of the bag is of course important for checking how much cannabis or hash fits in the bag. Shown below are the different sizes of the products in our product assortment. The most common size is 60x80 mm. A bag of this size can contain about 3 grams of marijuana. Apart from its size, the bag's thickness is important as well. This determines the firmness of the bag, and to what extent you can notice its smell. Zipper bags are very useful for storing cannabis, hashish or other herbs, but zipper bags have more advantages. It is no coincidence that virtually every coffee shop offers its customers cannabis or hashish in a zipper bag. Apart from storing weed, a zipper bag is air-tight and therefore reduces odor nuisance. Also, marijuana can be preserved longer in a zipper bag. A marijuana bag ensures the marijuana won't dry out quickly. The last advantage to mention is that the bag is resealable. Losing your marijuana, is impossible. Zipper bags have little differences, in principle, but the 60x80 black zipper bags with marijuana leaf have an extra advantage for your marijuana. These bags prevent light reaches the contents. This keeps your cannabis fresh longer. Daylight causes the THC to break down. Also the 120x170 transparent bags offer an extra advantage. These zipper bags have a nice size so you can put in a lot of marijuana, hashish or other herbs. 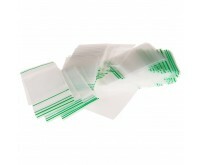 Zipper bags are very affordable at the Dutch-Headshop. They are sold per 100 pieces. The price depends on the quality of the bags, but for as little as 5 euros you have 100 high quality bags. Don't suffer any longer from a lack of bags when dividing your weed stash, and order these zipper bags easily at the Dutch-Headshop.